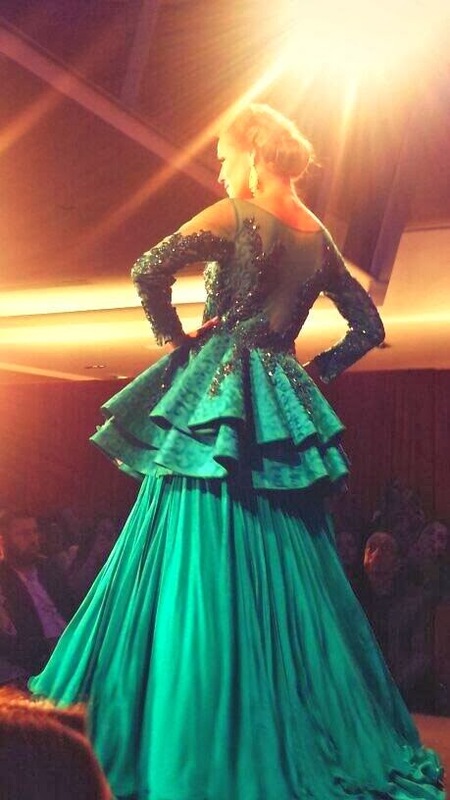 This is a very defined and full-on peplum with two layers of "ruffle" attached. Personally I don't really like it as much from the front - I think the volume of the rest of the dress is too much. Perhaps it's just been styled very dramatically here, but I think less volume in the rest of the dress would really make the peplum style stand out. 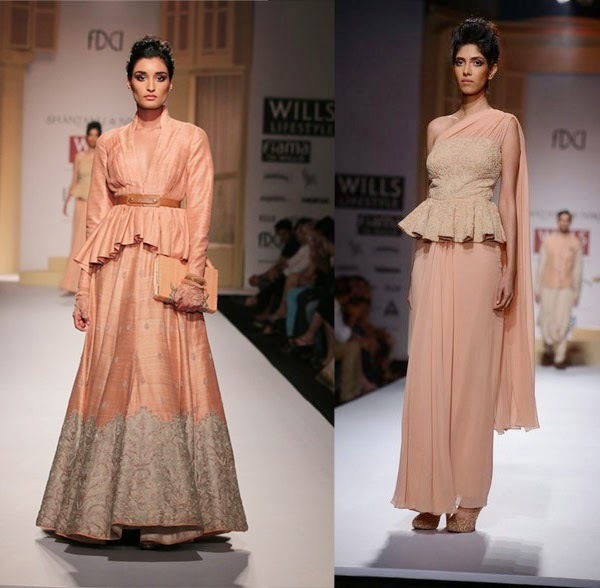 This lehnga by Narendra Kumar is a very different take on the peplum look. 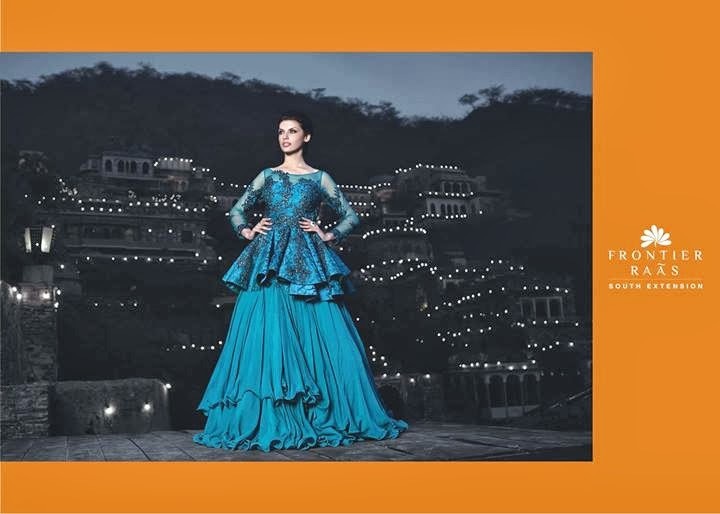 To start, the peplum style itself isn't as structured as the Frontier Raas dress, and secondly the top itself is a strapless corset-style. This isn't my favourite peplum-style asian outfit, but it's an interesting example of the style. You can find this outfit available to buy online for £1,920 at Strand of Silk. 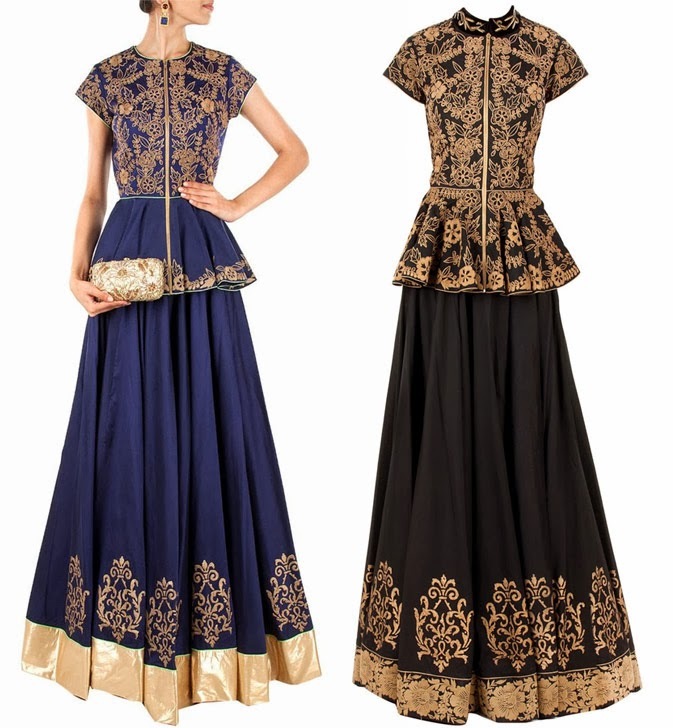 At first glance these outfits by Sonali Gupta which I found via Pernia's Pop Up Shop looked like lehengas to me, but on closer inspection and reading the product description these peplum tops have been paired with a matching sharara. It just goes to show the versatility of the peplum shape. My favourite is the blue one - all these are available at Pernia's for around £319. 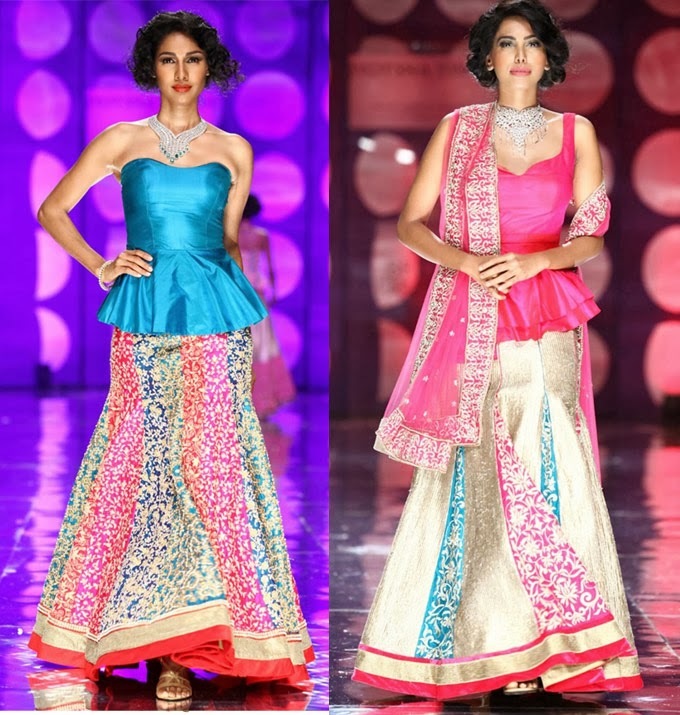 Jyotsna Tiwari had a few peplum-style outfits as part of their 2013 collection at India Bridal Fashion Week in 2013. I'm not sure I like these, I don't know why...they just don't have the same appeal as some of the other peplum style outfits I've found. Another find from Pernia's Pop Up Shop, these peplum lehngas are probably the ones I'd be mostly likely to buy for myself. 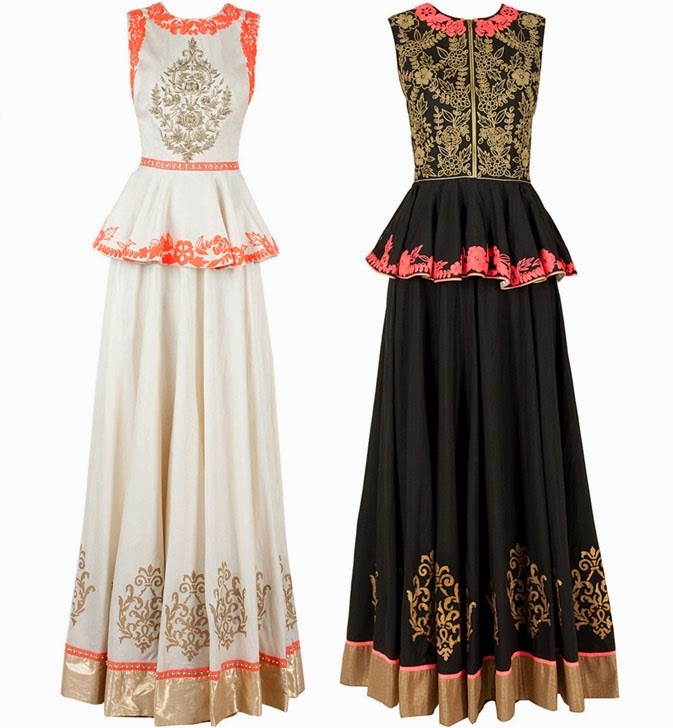 With the short sleeved versions, I like how the tops are very detailed and then most of the lehnga is left plain until you get to the border. I think the overall look is very chic, and with prices ranging from £319 to £338 I think they're quite affordable for the right occasion. I like the sleeveless versions too, mostly because they have a hint of neon in them with the orange and hot pink! What do you think the peplum style being used in asian outfits? Would you try it? Check out my Pinterest board for more updates on this style! 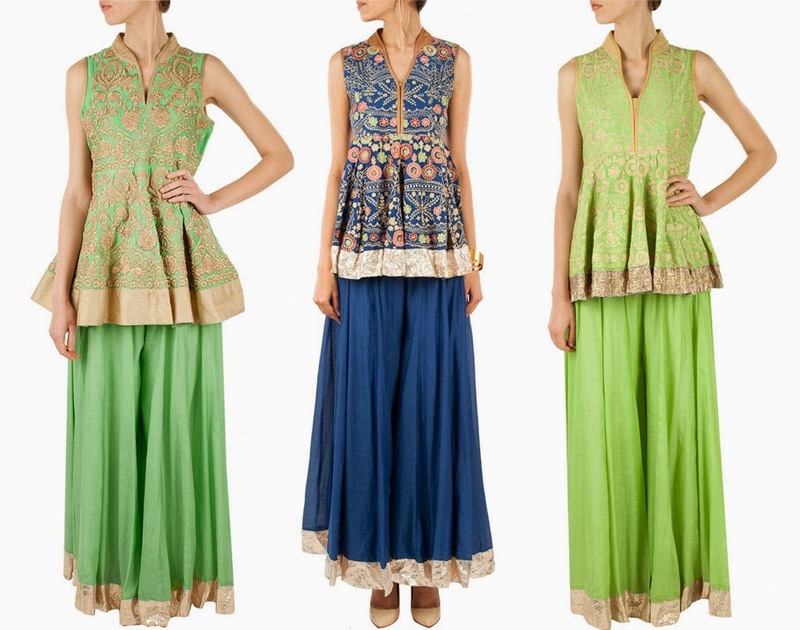 Follow Asian Fashion Blog's board Peplum styles in desi fashion on Pinterest.